Building a massive physique, unfortunately, requires a more measured approach than simply trying to heave as much weight as humanly possible. It requires targeted muscle building. To know how to best train a muscle, you have to first understand its physical structure, specifically its biomechanics and fiber type composition. This information helps you select the correct rep ranges, weekly volume, and rest periods for optimal results. Many lifters don’t specifically tailor these loading parameters to individual muscles. For example, they’ll dedicate 4-6 weeks to “hypertrophy” and perform every exercise in the 8-12 rep range. In this article, I’ll give you all the necessary information on these two topics – biomechanics and fiber type composition – for each major muscle. First, I’ll begin with a brief recap on muscle fibers. Optimal hypertrophy training is muscle specific. There are at least three different types of muscle fiber. To increase contraction speed, increase force production, and decrease resistance to fatigue, you have type I, type IIa, and type IIb fibers. Type I fibers are slow-twitch and type II fibers are fast-twitch. The following table lists the main characteristics of each muscle fiber type. Muscle fiber type composition is largely genetically determined and has very important muscle-specific training implications. Fast twitch fibers respond best to low volume, long rest intervals, high intensity, and low frequency. Slow twitch fibers, in opposition, respond best to high volume, short rest intervals, low intensity, and high frequency. Fast twitch fibers respond best to low volume, long rest intervals, high intensity, and low frequency. Slow twitch fibers, in opposition, respond best to high volume, short rest intervals, low intensity, and high frequency. Image courtesy of Best Workout Supplements. The fiber type composition of each muscle varies per individual, but as with most physiological characteristics, people don’t differ that much. In the general population, differences in percentage of slow twitch muscle fibers are normally above 5% but usually below 10%. So, you probably aren’t that special in this regard, even though your momma said you were. As for muscle fibers changing from one type to another, aging seems to be a factor (the percentage of fast twitch muscle fibers in your body starts to decrease after age 30), although strength training helps to prevent this. Exercise can also turn both type I and type IIb fibers into type IIa fibers, with other conversions being rare. Whatever the story, since weightlifters, powerlifters, bodybuilders, and sedentary populations differ less than 5% regarding the percentage of slow twitch fibers in their muscles, it’s unlikely that you need to take fiber conversion into account with your training. Also, the theory that high intensity (>90% of 1RM) is optimal for hypertrophy because it makes you fast twitch more, and those fibers have the highest growth potential is likely false. Yes, getting stronger helps you get bigger as it enables you to put more stress on your muscles, however, it’s also important not to neglect your slow twitch fibers. In bodybuilders, equal hypertrophy of both fiber types has been found. In contrast, powerlifters, and Olympic weightlifters show preferential hypertrophy of the type II fibers. This is all basically useless if you don’t know the fiber type composition of your muscles. To solve this problem, there’s the 80% test. In short, you find your 1 RM for an exercise that targets a specific muscle and then test how many reps you can do with 80% of that. If you can do less than 8, the muscle is fast twitch dominant. If you can do more than 8, it’s slow twitch dominant. There are much more elaborate variations of this test, but the principle is always the same. Use the 80% test when muscle building. The upside of this test is that it’s individualized. The downside is that it’s impractical. I don’t know of anyone that uses it systematically because you need to find an exercise for each muscle that really isolates it, meaning it’s probably hard to do a 1 RM with that particular exercise (ever do a 1 RM fly?). You also can’t overcome neural factors. Bad technique or an inefficient nervous system will cause you to underestimate your 1 RM and make you look more slow twitch than you really are. You can use exercises like front squats and dumbbell bench presses to get a general idea of your fiber make-up, but it’s far from perfect. The good news is that there’s a lot of research on the fiber type composition of every major muscle. Now that we’re done with the introductory notes, let’s get to the good stuff. The pectoralis major consists of two heads – the sternal head (lower chest) and the clavicular head (the upper chest). The chest’s primary functions are transverse shoulder flexion and adduction, as in fly movements. So, to target the pecs you should pick exercises that involve transverse shoulder flexion or adduction. Note: It’s flexion when the shoulders are internally rotated and adduction when the shoulders are externally rotated. If you have trouble seeing the rotation of your shoulder, look at your elbows when your arms are raised in front of your body. Elbows out to the side means the shoulders are internally rotated and elbows to the floor means the shoulders are externally rotated. Remember this, because you’ll need it in a minute. Additionally, the angle between your arms and your body determines which head of the pectoralis is trained most – incline for upper chest, and decline for lower chest. A problem many lifters have when training their pecs is that the anterior deltoid takes over. The anterior deltoid is also involved in transverse shoulder flexion, but its role in adduction is small. As such, if you want to isolate the pecs from the anterior deltoid, perform movements with the shoulder externally rotated. The most obvious choices would be standard fly movements where you actively try to slightly supinate your hand. However, even though the pecs are best isolated by exercises involving external shoulder rotation, the pectoralis major is biomechanically more efficient and thus stronger when the shoulders are internally rotated. If you want to isolate the pecs from the anterior deltoid, perform movements with the shoulder externally rotated. For pressing movements, the more you flare your elbows out to the sides, the better. This internally rotates your shoulders and makes the exercise involve more transverse shoulder flexion and less (non-transverse) shoulder flexion, which is the movement that occurs during front raises. Based on this, neck/guillotine presses are arguably the greatest pec exercise in existence. However, benching like this is known to cause shoulder pain for some. So you may want to use dumbbells or not take the risk at all. An underrated exercise that doesn’t mess up your shoulders while still really hitting the pecs is the Bayesian fly. Most people do flys exclusively with a neutral grip, but the pectoralis major is stronger when the shoulders are internally rotated, so a pronated grip is superior for chest stimulation. You can do this with dumbbells, but dumbbell flys have a resistance curve that doesn’t match the strength curve (no tension at the top) and going too deep can compromise the shoulders. As such, I prefer cables. If your gym doesn’t have attachments that allow for a pronated grip, like straight handles or short ropes, you can just grip the hooks (attachments are for pussies, right?) or pull straps through the hooks and grip the straps. Here’s a more elaborate description of the Bayesian fly. As for the optimal amount of reps to use for chest exercises, use low to medium reps. The pectoralis major is a performance muscle and both its heads are predominantly fast twitch in almost everyone, with 60% type II fibers being the average. It’s strongest when the shoulders are internally rotated (elbows pointing away from each other during presses) and is best isolated by flaring the elbows maximally out to the sides. Try medium rep flys with a pronated grip. If you understood the section about the chest, you know why benching like a powerlifter isn’t optimal for chest development. Powerlifters often don’t have the biggest pecs, but their triceps are usually monstrous (Dave Tate, anyone?). This isn’t only due to the biomechanics (arched back, elbows tucked, J-curve) of the powerlifting bench press that emphasizes the triceps over the chest, but also the triceps’ fiber type composition. Even more so than the pectoralis major, the triceps brachii is a performance muscle. Its fast twitch fibers outnumber their sluggish counterparts two to one with approximately 67% type II fibers. Accordingly, don’t bother with low intensity, high rep work. It’s best to use low reps or, if your elbows can’t handle that, at least go close to failure with lighter loads. There’s one more thing you should know about the triceps – it consists of three heads (long, lateral and medial) and the long head is biarticulate, meaning it crosses the elbow and the shoulder joint and helps to extend and adduct the shoulder (move your arm down and towards your body). That means it enters ‘active insufficiency’ when it has to function as an elbow extensor while the shoulder is adducted or extended. That is, it can’t exert enough tension to be active at both joints at the same time. Basically all horizontal presses, including dips (you might say they’re vertical, I say ‘who cares?’) leave the long head under-stimulated. You need overhead work to train the entire triceps. By the way, there is no such thing as a ‘medial head.’ In anatomy, medial refers to ‘near the middle of the body,’ whereas the correct term, lateral, refers to ‘the outside of the body.’ The terms are commonly confused and understandably so, but they’re in fact opposites, not synonyms. This isn’t surprising, given that many people do horizontal and vertical pressing on top of shoulder work – and their shoulder work isn’t balanced to begin with. This is partly due to the misconception that side raises are a good isolation exercise for the lateral deltoid. They’re not, unless you modify the exercise. During abduction, as in a side raise, taking the force generated by the lateral deltoid as 100%, anterior deltoid force is approximately 75% and supraspinatus force is 25%. That means the supraspinatus (another rotator cuff muscle) and the anterior deltoid together produce as much force as the prime mover, the lateral deltoid. Furthermore, these studies were done on basically sedentary people, so athletes with dominant front delts can expect even worse results. The same holds true for overhead pressing movements. Doing them with dumbbells helps a bit, but they still don’t produce balanced shoulder development by themselves. There are three deltoids – the anterior, lateral, and posterior head of the shoulder. Photo courtesy of Build Some Muscle. Decrease the amount of shoulder flexion (raising your arm as in a front raise). You may have heard that it’s safer to do side raises in the ‘scapular plane’ which is about 30° to the front, and this is correct, but that means it becomes a front raise. The same goes for not fully extending the elbow. Yes, it’s easier on the elbow joint, but you should still aim for 99% extension. This should be sufficient to keep the stress on the muscles instead of the elbow. You want the weight to be in a line that extends straight from your lateral deltoid. This means it’s better to do the exercise on an incline bench with your face into the bench. Try an angle between 15 and 60° incline. The lower the angle, the more you also involve the posterior deltoid. Doing side raises on an incline brings me to another factor to increase lateral delt activity, range of motion. The first 30° or so degrees of abduction are produced primarily by the supraspinatus, after which the lateral deltoid becomes the prime mover. Now, that’s not a bad thing, because the supraspinatus needs training as well, but it does mean you need to control the motion at the top. If you’re one of those yahoos that yank the weight to the side and then duck under it, you’re just straining your supraspinatus and hardly working your lateral delts. If you do the exercise on an incline bench, you can’t duck under it, and can focus on muscle activity instead. There’s one more very important factor that determines shoulder muscle activity – shoulder rotation (just like with the pecs). The more you internally rotate your shoulder during shoulder flexion and abduction, the more you involve both the lateral and the posterior head, and the less you involve the anterior head. So for maximal side delt stimulation during a lateral raise, point your pinkies, not your thumbs, towards the ceiling (‘empty can’ is what it’s called by physical therapists). However, during horizontal shoulder abduction, as in a reverse fly, externally rotating your arm actually increases lateral deltoid activation at the expense of the posterior deltoid. So for maximal rear delt stimulation during a reverse fly, you again want to point your pinkies towards the ceiling. So for lateral and posterior deltoid training, I advocate extending your elbow very close to fully, not using the scapular plane, and internally rotating your shoulder. These technique adjustments increase middle delt stimulation, but also decrease subacromial space width and increase impingement risk, so take care if you have shoulder issues. You can counter these problems by retracting your scapulae and arching your thoracic spine. In other words, by arching your upper back (‘chest up’) and keeping your shoulder blades pulled back. Additionally, doing the lateral raises on an incline helps as well. As for the posterior delts, besides internally rotating the shoulders during reverse flys or low incline side raises, you can train them with any type of pulling motion, such as rows or face-pulls, that hyperextend the shoulder (bring the elbow behind the body). The lats and the pecs can’t extend the shoulder beyond anatomical position (standing posture), so the posterior deltoids then become the prime movers. For front delt development, the front raise in the scapular plane with the shoulder externally rotated is a good, risk-free front delt exercise. Unless you’re not doing any overhead pressing work, I don’t think you need any front delt isolation work though. To train the external rotators, I recommend face-pulls with an underhand grip. Squeeze hard at the top and pull the rope all the way against your face. If you want to isolate the infraspinatus and teres minor, do side-lying external rotations. They produce the greatest EMG activity of most external rotation exercises. Remember though, reverse flys also train all the external rotators, so unless you have trouble activating the infraspinatus and the teres minor, it’s generally sufficient to just do those and face-pulls. As for reps, all scapula-humeral muscles are actively involved in maintaining posture and stabilizing the shoulder during practically every upper body movement. As such, they can be expected to have a high work capacity and are correspondingly around 60% slow-twitch dominant. You want the weight to be in a line that extends straight from your lateral deltoid. This means it’s better to do the exercise on an incline bench with your face into the bench. Try an angle between 15 and 60° incline. Add prone incline side raises and reverse flys with your shoulders internally rotated to balance the program and round out your delts. Use medium to high reps. The biceps, consisting of a long (outer) and short (inner) head, may seem like a simple muscle with straightforward biomechanics, but it’s in fact a tri-articulate muscle that crosses the elbow, forearm, and shoulder. The short head of the biceps is a shoulder flexor, albeit a weak one, which means it enters active insufficiency when performing elbow flexion and shoulder flexion simultaneously. In other words, it can’t perform these two tasks at the same time, so any biceps machine or exercise that has your elbows in front of your shoulders only trains the long head. The same goes, to a lesser degree, for exercises involving shoulder abduction. So the next time you want to do standing cable curls in front of the mirror in a front double biceps pose, remember that you’re likely training your ego more than your biceps. Worry about overall mass first before fussing around with building a Schwarzeneggerian biceps peak. Worry about overall mass first before fussing around with building a Schwarzeneggerian biceps peak. What Are the Best Biceps Exercises? Again, you should be pretty advanced before even considering this. Most trainees would be best served by sticking with exercises that have their elbows close to their sides. My favorite biceps exercise is the Bayesian curl. To emphasize the brachialis over the biceps, perform slow contractions with the biceps in a disadvantageous position (shoulders flexed/arms raised). The brachialis is more slow-twitch dominant than the biceps, which responds best to fast contractions. So why are some exercises easier with the hands in neutral position? It’s because the brachioradialis, another elbow flexor and one of the largest forearm muscles, is most effective in that position. Regarding the number of reps to use, while the biceps is fast twitch dominant, it’s only dominant by approximately 5%, so medium to low reps work best. The brachioradialis is more fast twitch with ~60% type II fibers, so go heavy on those hammer curls. The brachioradialis is more fast twitch with ~60% type II fibers, so go heavy on those hammer curls. Image courtesy of BodyMag. Suffice it to say, elbow extension and flexion cover the largest of the forearm muscles, so do those movements before trying stuff like ulnar deviations and finger exercises. If you have access to hand grippers, those are excellent too. In accord with their heavy usage, most forearm muscles are slow twitch dominant, so use high reps. Most forearm muscles are slow twitch dominant, so use high reps. Image courtesy of MuscleMag. The latissimus dorsi and its little helper on top, the teres major, function primarily as shoulder adductors (pulling the elbows into the sides) and shoulder extensors (pulling the elbows back; the movement opposite of a front raise). Many lifters skimp on shoulder adduction, probably because it’s harder (as in wide grip pull-ups versus chin-ups), thereby limiting their back width. A little known fact about the lats is that, just as for the chest, shoulder rotation influences the muscle’s biomechanical efficiency. For shoulder adduction, the lats are strongest when the shoulders are somewhat externally rotated. This naturally occurs during pull-ups and pull-downs. For shoulder extension, the lats are strongest when the shoulders are in neutral position. As a reminder, if you stick your arms out to the sides, as in the iron cross, you internally rotate your shoulders by pointing your thumbs to the floor and externally rotate them by pointing your thumbs at the ceiling. Watch the movement of your shoulder. If you use a rope, rings, or any handle that can rotate, you should naturally rotate the shoulder to the optimal position during most pulling exercises. If you don’t, you need to use a handle that puts your shoulders in the optimal position yourself. For example, during straight-arm pulldowns, you should use a slightly V-shaped handle instead of a straight bar to maximally recruit your lats. The lats’ muscle fiber type composition, the lats on average have an equal amount of slow and fast twitch fibers, so they respond best to medium reps. The trapezius is an exemplary muscle. The upper traps are visible in the mirror, but the middle and lower traps aren’t, so only the upper traps get attention; a perfect demonstration of the mirror muscle effect. Although the lower and upper fibers of the trapezius have opposing functions (depress and elevate the scapulae, respectively), training the traps is pretty basic – depress (pull down), retract (pull back) and elevate (shrug) your shoulder blades against resistance in equal amounts. Key phrase being, in equal amounts. Also, you may think you’re achieving balanced muscular development with your programs because you’re pushing and pulling in a 1:1 ratio, but you should really do more pulling volume than pushing. It’s worth noting that the rhomboids, which also retract the scapulae, are composed of approximately 55% fast twitch fibers, but since these muscles are invisible from the outside, this shouldn’t concern bodybuilders much. Your traps are important. Train them fully, and train them more than your pushing muscles. Image courtesy of Muscle & Fitness. If the biarticulate hamstrings try to stretch at the hip and the knee, they enter passive insufficiency. If they try to flex at the hip and the knee, they enter active insufficiency. Basically, the hams can’t perform their functions at both joints at the same time. This means that during hip extension exercises, such as deadlifts, the more you bend your knees the less the hams can come into play, and the more you emphasize the glutes. If you only do bent-knee exercises for your legs (and no leg curls), you’re not completely training your hamstrings. Since the glutes and hams both flex the hip, bodybuilders may be inclined to exercise both body parts at the same time. This is sub-optimal. The glutes are slow twitch dominant by a few percent, but the hamstrings are fast twitch dominant. The hamstrings are particularly interesting, because their fiber type composition varies greatly in research and in some research they are even slow twitch dominant in sedentary individuals. This is likely because the hamstrings have a remarkable adaptive potential, one of the highest in the human body. They also have one of the highest proportions of the super explosive type IIb fibers (20%), even greater than the triceps. Use straight leg movements and leg curls for low reps to train the hams and medium to high reps with bent knees to train the glutes and lower back. Image courtesy of Rob King Fitness. Bending the knee during hip extension takes the hamstrings out of the movement. Use straight leg movements and leg curls for low reps to train the hams and medium to high reps with bent knees to train the glutes and lower back. The long, deeper calf muscle, the soleus, keeps you upright all day and is correspondingly close to 90% slow twitch, so don’t bother with low rep work. The gastrocnemius is often called the fast twitch dominant part of the calves, but that’s only compared to the super slow soleus. The lateral head is indeed fast-twitch dominant, but only by a few percent, and the medial head is actually slow-twitch dominant by a few percent, so use medium volume for the gastrocs. You can emphasize – not isolate – the medial head by pointing your toes out and the lateral head by pointing the toes in. Both the soleus and the gastrocs perform plantar flexion (think ‘calf raise’), but they also flex the knee, and they can’t flex at both joints at the same time. Therefore, you can somewhat isolate the hamstrings during knee flexion and the soleus during plantar flexion by plantar flexion and knee flexion, respectively. That means if you want to train your gastrocs during leg curls, you should put your calves in the stretched position (toes pointed up). If you want to train your soleus, you should perform seated (or otherwise bent knee) calf raises. Calf training can sometimes be dirty work. The front of the thighs consist mostly of the quadriceps. The quads in turn are composed of three main heads – the vastus lateralis, rectus femoris, and the vastus medialis oblique (aka VMO or “teardrop”). All heads extend the knee, but the rectus femoris also flexes the hips, so it enters active insufficiency when trying to do both at the same time. To demonstrate this, pull your knee up as high as you can. Now try to extend the knee (straighten your leg). Hard, huh? That’s active insufficiency of the rectus femoris (and possibly passive insufficiency of the hamstrings). The VMO and the vastus lateralis also pull the patella in opposite directions during knee extension, so it’s important to maintain a healthy strength ratio between these muscles. There’s controversy regarding whether and how preferential recruitment of the VMO over the VL is possible, but if you use a mixture of open and closed chain quad exercises over a full range of motion, you should be fine. Regarding the quads’ fiber type composition, it varies significantly per head. The VMO is slightly slow-twitch dominant, the vastus lateralis is slightly fast twitch, and the rectus femoris, the center of the thighs literally and metaphorically, is a 65% fast-twitch powerhouse. Now you know why Olympic weightlifters tend to have large quads. For maximum muscle mass, I recommend a high variety of rep ranges for the quads. There’s a bunch of other small thigh muscles, including the adductors. I’m not going to cover them all, so put simply, the adductors are about 60% slow twitch and the other hip flexors have a 50-50 fast-slow muscle fiber type composition. For quad training, use a large variation of reps and exercises. As such, clearly the obliques and transverse abdominis are trained by heavy compound exercises, such as squats and deadlifts. The rectus abdominis, on the other hand, may remain undertrained without direct work, depending on your exercise selection. Another consideration is that, anecdotally, the anterior core seems to have limited hypertrophic potential, though its muscles are fast twitch dominant by about 5%. Then there’s the debate on whether spinal flexion is healthy, or if extra mass is even aesthetically desirable in the midsection. Many people think they need bigger abs to get a slim midsection when in fact this will thicken their waist. Having a sixpack is primarily about getting rid of the pudge covering your abs. ‘Abs are made in the kitchen’ has become a cliché, because it’s true. Generally speaking, heavy compound exercises, including pull-up variations and anterior load carriage like overhead pressing and (front) squatting, may be sufficient training for bodybuilders, depending on the exact exercise selection and individual preferences. Heavy compound exercises, including pull-up variations and anterior load carriage like overhead pressing and (front) squatting, may be sufficient ab training for bodybuilders. And with that, dear friends, you’re all set. 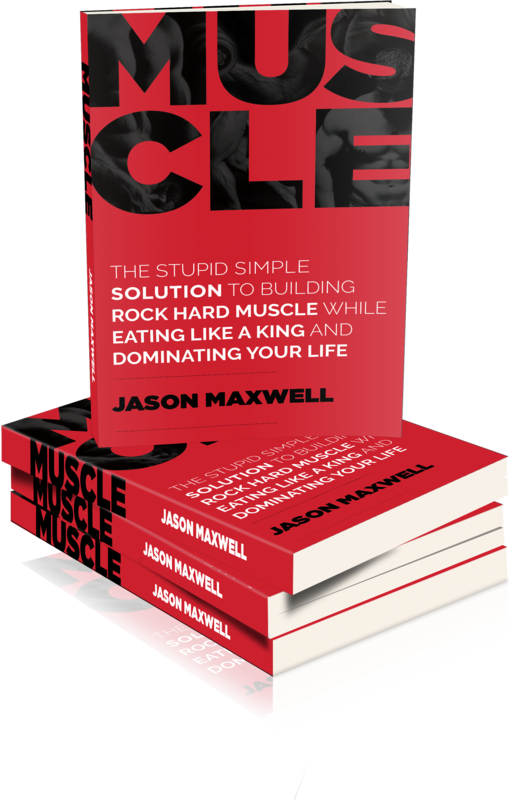 You’re now armed with virtually all the biomechanics and fiber type composition knowledge you’ll ever need to optimally recruit your muscles, manipulate exercises to emphasize certain muscles, and select optimal training variable parameters for each muscle. Now go tweak your training program and get growing. Dahmane, R., Djordjevič, S., & Smerdu, V. (2006). Adaptive potential of human biceps femoris muscle demonstrated by histochemical, immunohistochemical and mechanomyographical methods. Medical and Biological Engineering and Computing, 44(11), 999-1006.